The report details the Company’s CSR activities and accomplishments for the fiscal year ending June 30, 2018. Additionally, the report expands on the Company’s continued commitment to CSR with its recently announced 2025 Responsibility Goals in the People, Products and Planet pillars. Launched Nourishing Neighbors – a giving program supporting local communities with 75 percent of funds going to hunger relief organizations. Conducted training for more than 5,000 Sysco leaders on Diversity and Inclusion fundamentals, inclusive leadership and unconscious bias. Provided product health information to more than 23,000 users through our eNutrition database. Continued to advance our commitment to sustainable seafood, supporting 14 fishery improvement projects (FIPs) since 2010. Updated and published new Global Supplier Code of Conduct. Conducted 160 third-party social compliance assessments for Sysco Brand suppliers across 17 countries. Signed a 10-year renewable energy agreement for solar power, supporting the majority of the Company’s electricity load in Texas and accounting for about 10 percent of Sysco’s U.S. electricity usage. Recycled more than 40,000 tons of waste since 2014, saving more than 500,000 trees. Partnered with more than 8,000 canned and frozen fruit and vegetable growers to advance sustainable agriculture practices. The report is formatted to meet Global Reporting Initiative (GRI) standards, is mobile-friendly and can be viewed here. 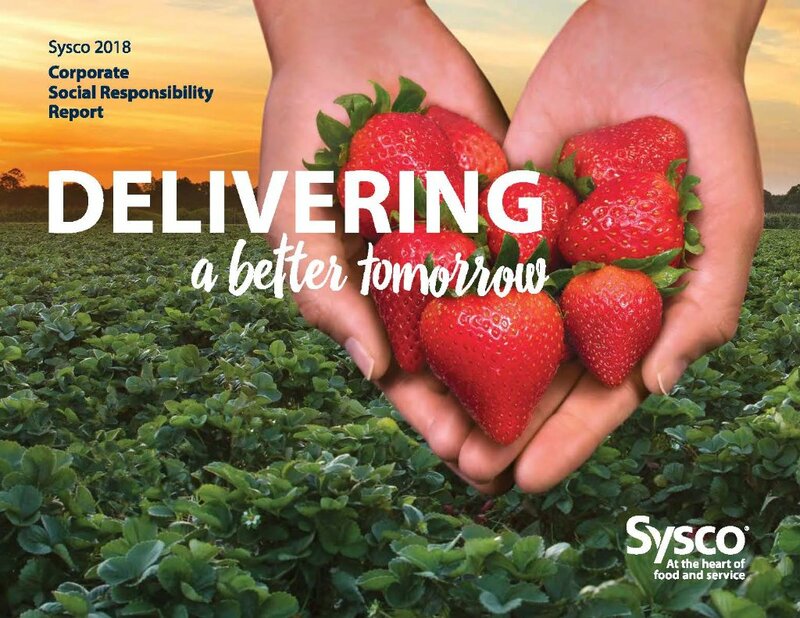 Sysco Is Delivering A Better Tomorrow: Better Is… Responsibly Sourced!